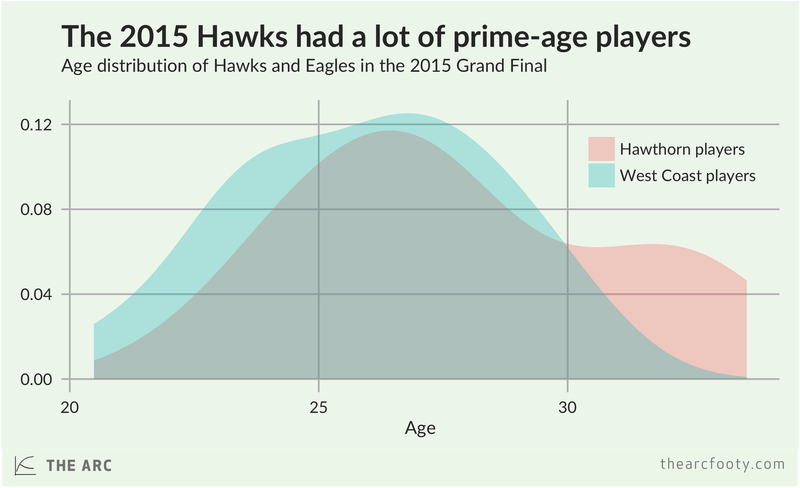 The Eagles’ Grand Final side also featured a large concentration of players in the prime mid-to-late 20s age range, but they also had a larger proportion of youngsters. Unlike the Hawks, West Coast didn’t have that cadre of experienced veterans. 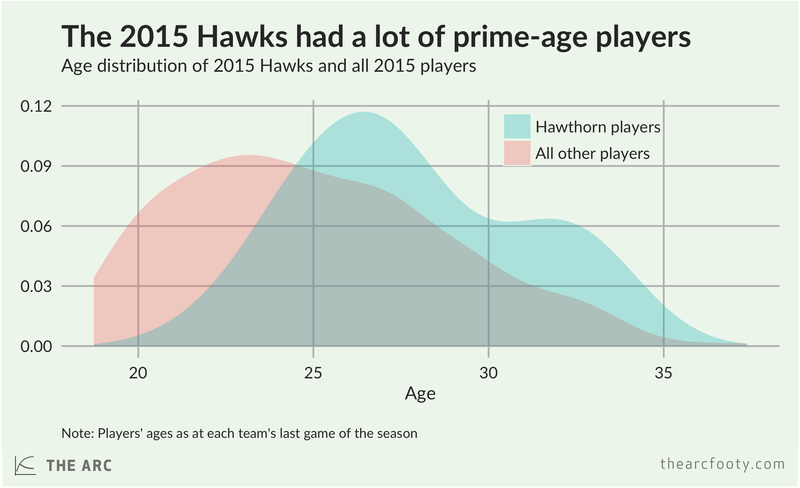 Although West Coast fell well short in the 2015 Grand Final, their concentration of players aged 23-28 should make Eagles fans excited about the next few years. Previous article	← Which teams get all the free kicks?